Reminiscent of the scent of limes carried on a Caribbean sea breeze, Lime Basil & Mandarin has become a modern classic for men and women. Fresh limes and zesty mandarins are undercut by peppery basil and aromatic white thyme in this alluring signature blend. 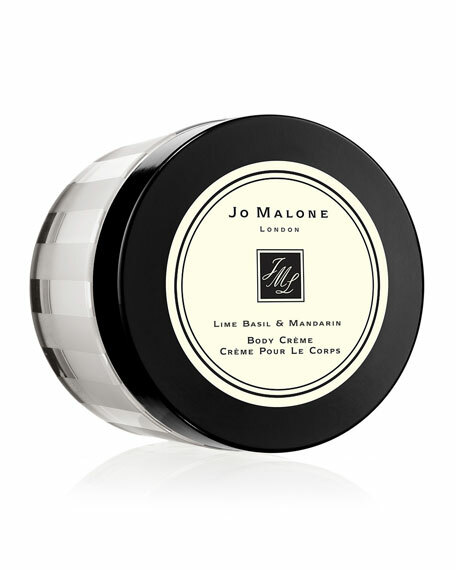 Lime Basil & Mandarin Body Creme, an exquisite combination of texture and scent, is the utmost indulgence. It keeps skin soft and pampered every day. For in-store inquiries, use sku #2505349.